Sometimes the boys come out of their cage and decide to trek across the living room floor. I managed to get some of their latest trip on film. I went to the Farmers' Market again this morning. 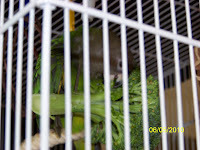 Among the haul was a nice stalk of broccoli, which Charli fell in love with as you can see (the broccoli is on a skewer). 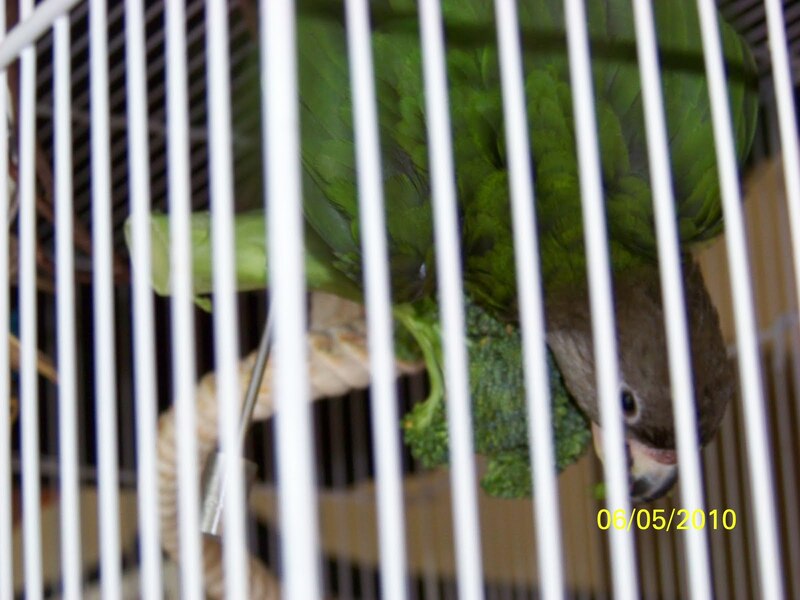 Here, she's hanging upside down with her wings spread out a little bit. 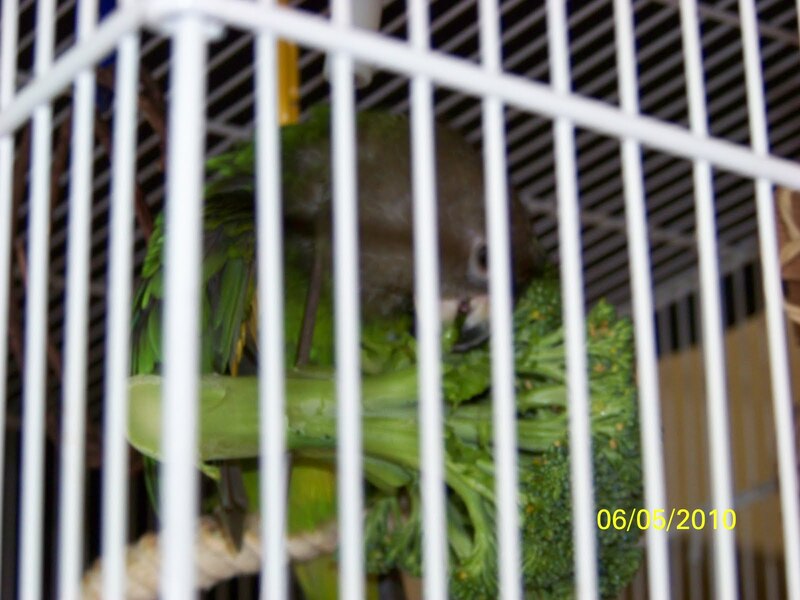 She loves raw broccoli! 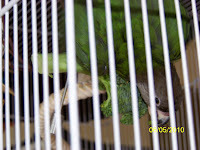 Later on I gave her some clean pea pods after shelling out the fresh peas. She thought they were mighty tasty, too. Then, miracle of miracles! I dropped about 5 fresh organic blueberries in her food dish. O Joy, Joy, Joy! Yes, I gave goodies to the Bobbsey Twins, too, but they are most definitely not interested in anything edible unless it's seed or nuts, which I'm not providing today. They'll just have to call the ASPCA and report me! Now all the birds are taking naps. It looks like rain, so I think I'll take a little nap, too.